Provide comfort for the family of Marie Murphy with a meaningful gesture of sympathy. Marie S. Murphy, 97, wife of the late Raymond Murphy, passed away peacefully on Friday, March 22, 2019 at home with her loving family by her side. Born in Meriden on August 31, 1921, she was the daughter of the late Chester Sr. and Carmela (DiTore) Santoro. Mrs. Murphy was a lifelong Meriden resident. She attended Meriden High School and was a proud member of the basketball team and band where she played the flute. Marie also played the fife, in the Washington Park Drum Corps, and was thrilled to have marched in the 1938 opening ceremony of the Arrigoni Bridge (Middletown). Marie was a parishioner of Saint Rose of Lima, later becoming a parishioner of Our Lady of Mount Carmel Church. Marie was employed by New Departure prior to her retirement in 1974 and was an ac-tive member of the UAW retiree’s chapter 987. In the mid 1950’s, while at New Departure, she also owned a family Restaurant named Murphy’s Uptown, in Wallingford, CT. She shared many fond memories of the years she and her family spent at Murphy’s. Marie was an avid member of the Meriden AARP and attended the Meriden Senior Center. She loved mu-sic and dancing. 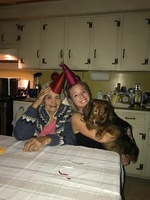 She had a passion for country line dancing and joined the New England Western Dance Association, where she met her dear friend Lorraine, who became part of Ma-rie’s extended family. 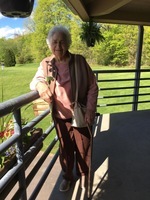 She loved to cook, make homemade jellies, garden, sew and swim. She was League Champion of the National Duckpin Bowling Congress (1964-65), she com-peted in the Senior Olympics (1983), placing first in basketball and free style swimming. She was a football enthusiast and Nascar fan. 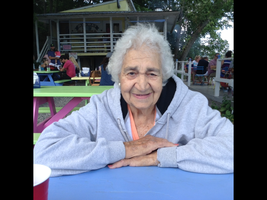 She enjoyed traveling, going to the movies, the Mohegan Sun Casino, and playing board games. Most of all, her family and friends were the joy of her life. Marie was an amazing woman with a smile that lit up a room, she was an in-spiration to those around her and will be deeply missed. Marie is survived by her daughter, Karen Hudson; her son, Raymond Murphy and wife Shelley, as well as, grandchildren; Edward Novicelli, his wife Cheryl, Armann Armannsson, his wife Donna, Kiersten Pflugbeil, her husband Glenn, Nicole Murphy, Kevin Gravitte, Jeff Hudson, his wife Wendy, and Linda Robinson, her husband Magnus, great-grandchildren; Amanda Armannsson, Joe Strycharz, Max and Thor Novicelli, Alyssa Cusimano, Madison Bruzy, Michael Murphy, Cole and Chase Gravitte, Casey and Eva Hudson, Ragna, Sandra and Rakel Magnusdottir; and her great great-grandchildren; Scarlett and Elizabeth Strycharz and Jayce Aragon. She is also survived by her daughters-in-law, Erna Armannsdottir and Tammy Luft, along with many loving nieces and nephews especially her niece Patricia Santoro and nephew Louis Milano Jr. She was predeceased by her son, Michael Murphy, brothers; Chester Santoro, Jr., Michael Santoro and Louis Milano Sr., son-in-law Paul Hudson, sister-in-law Genevieve Santoro and her long time companion John Berardino. Family and friends are invited to attend a funeral service to be held on Thursday, March 28, 2019 at 11:00 a.m. at the John J. Ferry & Sons Funeral Home, 88 East Main Street, Meriden. Burial will be in Sacred Heart Cemetery. Family and friends may call at the funeral home on Thursday morning prior to the service from 9 to 11 a.m. In lieu of flowers, contribu-tions in her memory may be made to Cystic Fibrosis Foundation, 306 Industrial Park Road, Middletown, CT 06457. To plant a memorial tree in honor of Marie S. Murphy (Santoro), please visit our Heartfelt Sympathies Store.